Lawrence H. Smith, age 88, of May Township, Minnesota, beloved husband, father, grandfather and great-grandfather entered into eternal life March 31, 2019. Larry was born on April 2, 1930 in Jackson Michigan. He attended Jackson High School where he met his future wife Jacquelyn Smith, who assisted him in algebra class. They were married on August 27, 1950 and were together for the next 57 years. He attended Jackson Community College before going on to Michigan State University to obtain a bachelors degree in Agronomy. After Military service Larry received his first teaching position as an Ag teacher in Marlette, MI. He then went on to graduate school at MSU where he received a Masters and PhD in Agronomy. 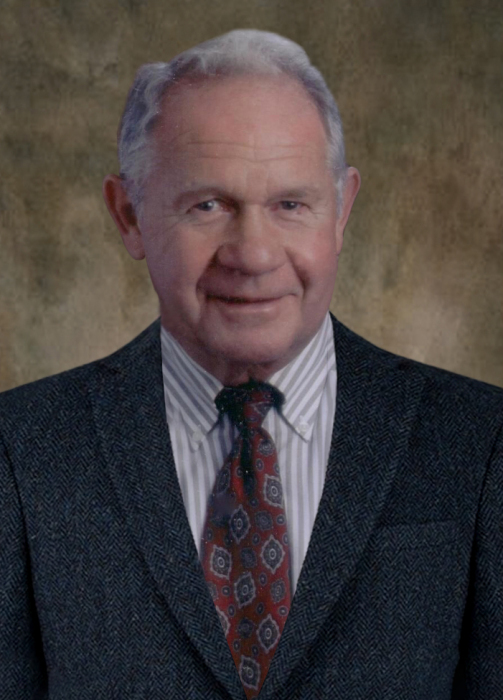 Larry took a position at the University of Minnesota in 1959 where his career as a professor of Agriculture spanned 36 years and won numerous awards for excellence in teaching and counseling. Larry put his teachings into practice by moving to a farm in Hugo, Minnesota where he and Jackie raised their family and thoroughly enjoyed their rural lifestyle. In 1973 Larry accepted a guest lecturer position at the University of Reading, UK. An opportunity which gave the entire family a 6 month adventure in Europe. This love of travel was a continuing part of Larry's life including trips to Morocco, Egypt, Columbia, Uruguay, Mexico, Australia, New Zealand, Greece, and snowbirding in the US. Larry loved music, reading, traveling, and spending time with family and his beloved dog Molly. He is survived by children, Dave (Jane), Sandra Booren (Jerry), Doug (Anne), Stuart (Tenely), and Marjorie Bonse (Jack) plus 11 grandchildren, 8 great – grandchildren and his sister (Priscilla). Larry was dearly loved by all who knew him, and will be greatly missed. A Memorial Service will be held at 11:00 am Tuesday May 14, 2019 at CHRIST LUTHERAN CHURCH, 150 5TH Street, Marine on St. Croix. The family will greet friends and family from 10 am until time of service. Burial at Fifield Cemetery, Jackson, Michigan. A second Memorial Service will be held at 11:00 a.m. on Friday, May 17, 2019 at St. Paul's Episcopal Church, 309 S. Jackson Street, Jackson, Michigan. There's still time to send flowers to the Visitation at the Christ Lutheran Church from 10:00 AM to 11:00 AM on May 14, 2019.